This is a 10 minute experiment; a self-reflexive exercise in deep mapping born from my experience plotting the spatial history of cinema in New Hampshire, one of six states in the New England region of the United States. 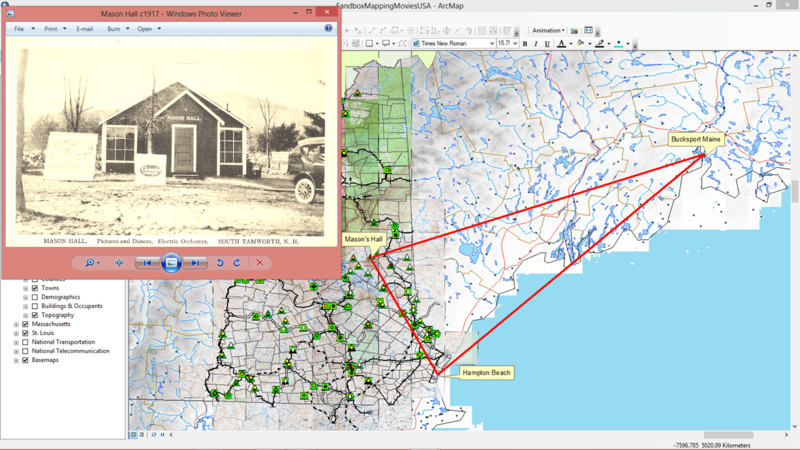 The experiment stems from my ongoing research using Geographic Information Systems (GIS) to map the development of moving pictures in the state from the 1890s through the complete transition to sound films in the early 1930s. Like most things about the project, the map’s completion has proven elusive. Because the deeper I dig into the uneven layers of cinema history across the full range of New Hampshire villages, towns and cities, the more the ground under my feet turns to mud, and not just any common type of mud, but the deep, stop you in your tracks sort of mud, the perverse and highly contrary mud that forms in New Hampshire in early spring if temperatures rise too quickly and the frozen earth melts too fast. The kind of mud that bogged down May B. Richardson in 1916 and leaves the historian trying to conduct a conversation with her one hundred years later wondering why he too ever started down this road, pondering with dirty boots and a worried, muddied brow whether he’ll ever be able to make a single, definitive, declarative statement about a known, historical, fact ever again. 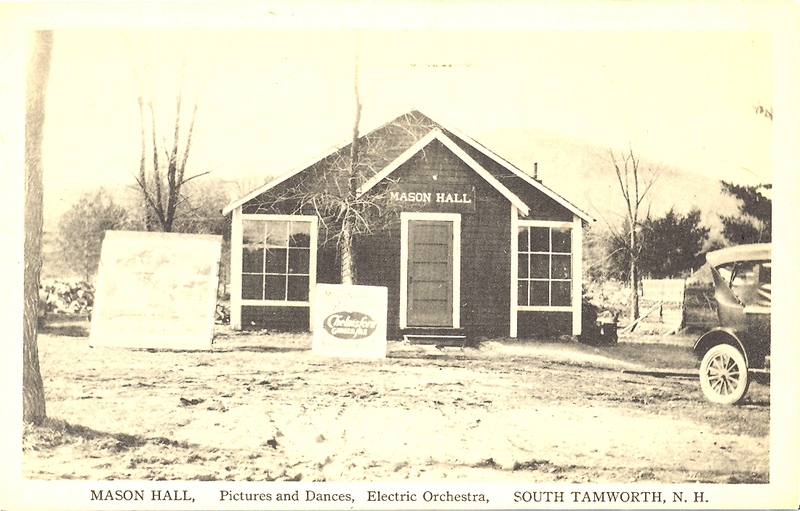 So, you want to study the development of moving pictures in New Hampshire all the way through the complete transition to sound in the early 1930s? That sounds simple enough. After all, the transition would have been over in the US by 1933, or certainly by 1934 at the very latest, so ending the project somewhere in the “early thirties” should provide sufficient cushion to account for the inevitable fuzziness of transitions, should it not? Certainly you’d be safe from the mud there, right? 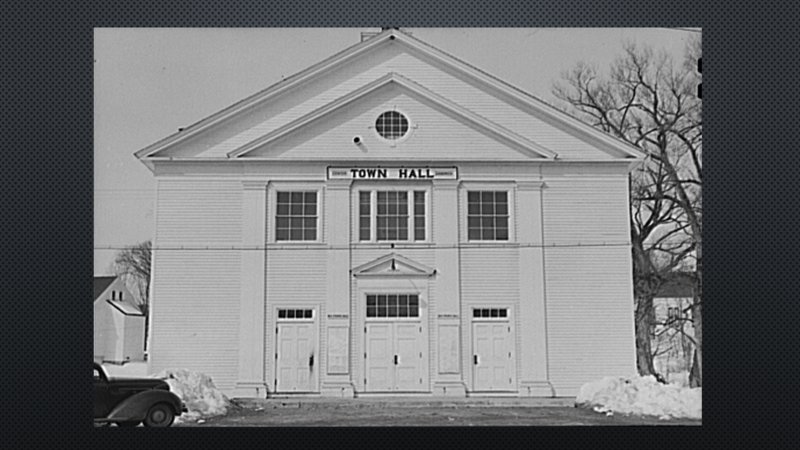 Well, you’d think so but then you come upon a place like Sandwich, New Hampshire, where the only venue for moving pictures was a small town hall that presented movies to the general public and to local schoolchildren, often at the same time. And sure enough, there they are in 1937, the town and schoolchildren together, watching educational 4 reel silent “feature” films like George Washington: His Life and Times on a single projector in the town hall. And what a thrill it is, both for the folks of Sandwich and the cinema historian alike, to read the breaking news published in 1942 that several times during that watershed year the town had the “privilege of using one of the most useful and modern educational devices, the sound motion picture projector!” At long last the sad fog of World War II was lifted by the shining light beams and glorious sound waves of the transition to talking pictures. Sound cinema had finally arrived in Sandwich. Or had it? Wait a minute. The news said nothing about TWO sound projectors. No, it can’t be (the mud rising). Surely they wouldn’t have been sitting through reel changes as late as 1942. That’s impossible. That would be sound, but it wouldn’t be cinema. Or would it? What is it exactly? Shouldn’t the mud be drying up by now? I’ll “close” by animating a conversation I’m having in my head about translation, transition, and translocation; about “deep mapping the transformation of cinema in New Hampshire all the way through the complete transition to sound in the early 1930s” (in my notes I have that last part in quotes). 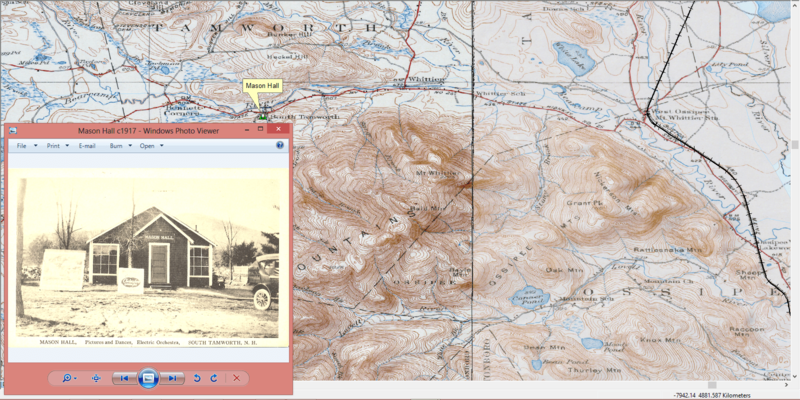 It’s certainly not the only conversation I’m having – the ground remains muddy and I’m still exploring as you will no doubt see because you’ll probably start wondering why these maps go all the way back to 1804 and forward to 1948. Can’t the cinema historian please stay on the road? After all, he has a map, and a map is for finding things, not for getting lost. But what if it is cinema, too, that refuses to stay on the road, failing to show up where it’s supposed to be and other times appearing where it wasn’t expected? And what if getting lost is another form of way finding? One that asks questions, seeks connections, engages dialogues, and forms relationships, all to make paths and discover points of orientation from which to understand the trajectories of people and pictures moving and converging across landscapes. And what if a “deep map” is less about satisfying curiosity than about generating it, piquing others to form their own questions and join the conversation, bringing their own tales of roaming muddy roads while mapping movies? Wouldn’t this be a conversation where the last word was also an invitation to the next? Which is the better way to find? I say “both” and “more.” But is this history? Or, what kind of history is this?